Looks like the thread finally blew up guys, gals, and theys. Anyway, here's to a 2019 that hopefully gives us writers and artists that have actually read the New X-Men. In an age of utopia, the Summers Institute for Higher Learning is the premiere school for the mutant community across the globe. 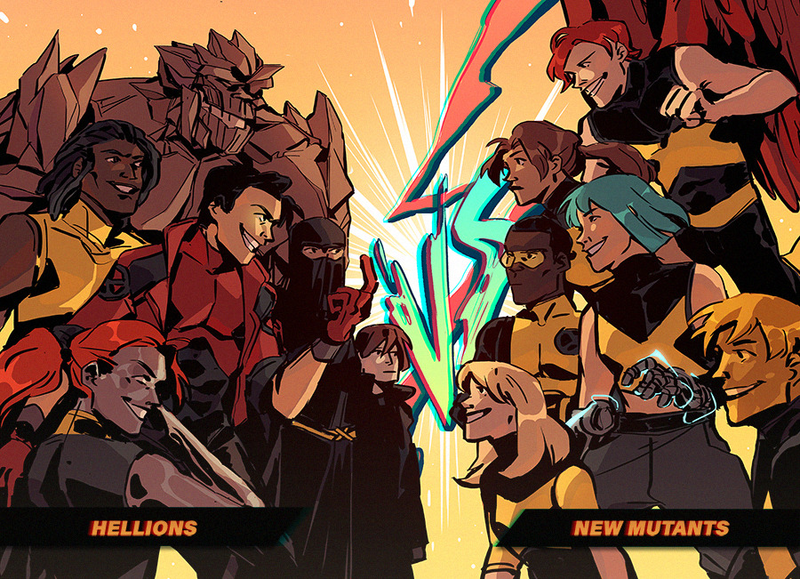 Attendance is mandatory for all mutant children, as they learn to become the next generation of marvelous X-Men. But even in a utopian society, teenagers will always find a way to rebel… Follow Glob, Armor, Pixie, Anole and Rockslide as they discover what it really means to live in an age of peace and harmony! Last edited by Tycon; 03-21-2019 at 10:05 PM. Also, I'll take recommendations for what pictures to actually put on that first post. Those are just kind of placeholders that are giving us an idea on where the New X-Men generally are, plus I didn't want to just repeat the same images from the previous thread. What is to make of this? I don’t have much faith in this book, but I would put it past them to blatantly make Vic out to be a villain. Why didn’t Vic just camouflage to hide? This book is so dumb. 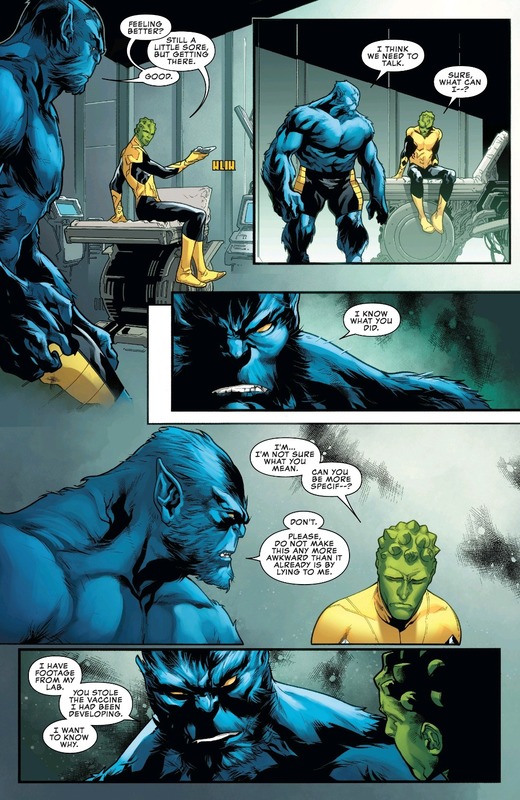 Now we know who Dark Beast was directly talking to, now. When was the last time we saw Anole use his camo ability? Not sure how I feel about Vic being the thief, I guess it's marginally better than being wallpaper? I wonder if this will be resolved in Uncanny or get picked up in NextGen. 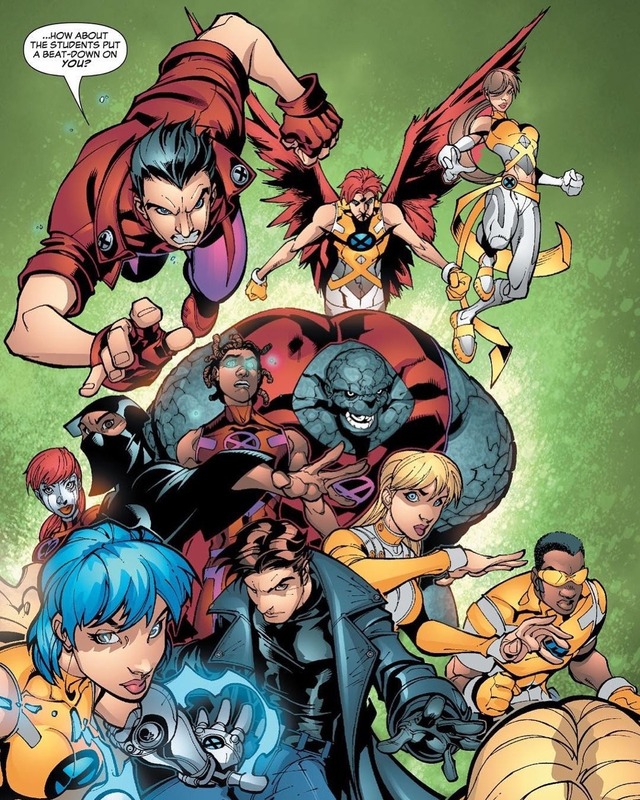 I am really looking forward to the GenNext mini and how many students will appear there who we haven't seen in action, like Hellion, Dust, Surge, Indra, Mercury and so on. So it's been a while, I wish more writers would use Anole as a stealth/agility fighter rather than a straight-up bruiser. Also, I would love a Tynion NXM book. Why didn’t Vic just camouflage to hide? I'm not surprised, they can't even make up their mind whether he has a tail or not from one issue to the next. Hell, they can't even be bothered to remember his Popeye arm. They also called Rockslide "Vic" so I'm sure they don't even remember his name. I’m just gonna headcanon that Anole’s been faking the severity of his injury just so he would be able to steal Beast’s vial. That would explain away why Anole’s been in the med bay despite having a healing factor. The tail could have been a neat secondary mutation from Mothervine if they bothered to delve further into his reptilian mutation. And even when he got his Popeye arm, KYost immediately used him in that stealth role again, when he snuck into the Purifier base for files. How......how did it get this bad that we see a new design for Anole EVERY TIME WE SEE HIM? It’s always some combination or removal of his carapace head, asparagus spikes, popeye arm, asymmetrical/symmetrical Popeye or normal arms, tail, and height? I don’t think there’s been an X-Man who has had this much of a screwup design-wise. Anole's got a regeneration factor, he can regrow limbs, but that's not necessarily the same as a healing factor. If he has internal injuries, like fractured ribs or bruised organs, or a concussion, that might still need to heal normally than heal immediately like a Wolverine. It's like how Icarus' powers were more healing himself from death than any regular injury. Is the "Prodigy" that's listed as a reserve Champion 'David Alleyne' or 'Richard Gilmore'? And once again in the span of a few days my interest for Champions dwindles. 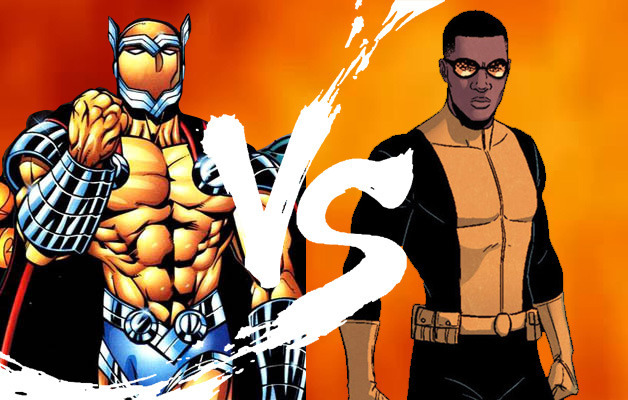 First I saw Power Man on the cover and got excited because I thought it was Prodigy/David, then found out it wasn't. Then I find out he's a reserve Champion which means he might be getting a few guest appearances... yay? And now it might not even be him. I'm reading it for Viv regardless but damn. I know I shoouldn't get my hopes up.